Advertising agency software is designed for ad agencies to provide the next level of client service quality and productivity. Advertising agency software is the solution for a marketing agency that is in need of client service. It is difficult to run a marketing agency without having advertising software. If you are in search of affordable, secure, comprehensive, easy-to-use, and easy-to-implement marketing project management software, then read further. There are many benefits of advertising agency software. It helps in managing the agency remotely, creates client details, creates publication details, etc. Advertising software is a dire necessity for advertising agency all over the world. But agencies find it difficult to get hold of the best advertising agency software. 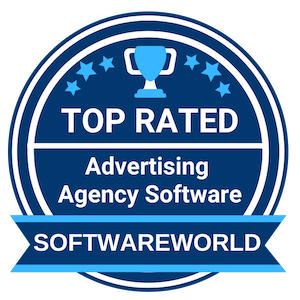 To know about the best advertising agency software that is currently ruling the market, consider the list of the top advertising agency software mentioned below, coined together by SoftwareWorld. What are the Best Advertising Agency Software In 2019? 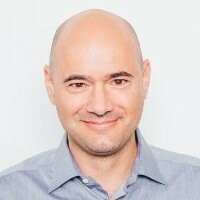 About Workamajig : Workamajig is a reputed software, which aids in managing projects for the marketing teams, improves efficiency, and increases collaboration. Earlier, it was known as the Creative Manager Pro. It can be customized as per the needs of an organization, and it is completely web-based. It has been created especially to help the creative groups, like advertising. This software is being used by numerous advertising agencies all over the world. “From dealing with customer service to upgrades to the software over the years the overall experience has been exceptional. I work on the Finance side but whats wonderful that it doesn’t matter which piece of the software you go in to, the layout and functionalities throughout are consistent. ” – Rachel D.
About Wrike : You can be assured that your work will become more efficient with Wrike. It is undoubtedly great project managing software, which not only provides complete visibility as well as great control over the tasks. This amazing software was founded in the year 2006, and has been serving various advertising organizations since then. You can use this software for saving time as well as gaining visibility. About Metadata : Metadata is a reputed and the only Artificial Intelligence campaign execution platform and has been serving the business-to-business companies. Creating pipelines is not an easy task and it is also crucial to have knowledge about the components of the marketing mix, which work, and also the ones that don’t. The patented technology of Metadata helps in executing numerous campaigns within a short time. 4. Scoro – BRING STRUCTURE TO YOUR WORK. About Scoro : Scoro is an end-to-end business management solution that allows professional and creative services to control their entire workflow from one place. It helps to streamline work and eliminate routine tasks to ensure a business runs as smoothly and efficiently as possible – from sales right through to billing. Scoro’s features include calendaring, task and project management, quoting and billing, enterprise-level reporting and a real-time dashboard. About Quantcast : Quantcast is responsible for proving the artificial intelligence-driven insights on the audience, as well as targeting and measurement. It is considered to be the leader of artificial intelligence technology, and the applications for agencies, publishers, and brands. It is known to specialize in artificial intelligence-driven real-time advertising as well. It has also been helping the publishers, as well as marketers, understand all the audience, with the help of direct measurement. About NetSuite : Oracle NetSuite Global Business Unit pioneered the Cloud Computing revolution in 1998, establishing the world’s first company dedicated to delivering business applications over the internet. Today, Oracle NetSuite Global Business Unit provides a suite of cloud-based financials / Enterprise Resource Planning (ERP), HR and omnichannel commerce software that runs the business of companies in more than 100 countries. About Admation : Helping you work smarter, not harder, our marketing program management software offers a complete solution for any ad agency looking to streamline their workflow and better manage their campaigns and assets, helping you get the most out of your resources. Designed from the ground up for use by creative agencies at the cutting edge of digital, our advertising project management software suite delivers the powerful features and intuitive operation your organisation needs to transform the way it works. About Forecast : Forecast is one of the best project management as well as resource scheduling platform for the agencies, which is powered by artificial intelligence. It is perfect for those companies who are interested in delivering the projects on a proper time, in accordance with the scope and budget. It allows organizations to look into your future, allowing you to make decisions before any costly and serious problem arises. “Either one was good at one and not the other etc but finding forecast really dealt with all my needs and although its taken 6 months to get all the data in and staff using effectively, the benefits have been fantastic. Projects are running smoother and we can control the budgets better. Really good software.” – Gordon H.
About Celtra : Celtra is the Creative Management Platform (CMP) for digital advertising. Celtra’s CMP is a cloud-based, self-service software for managing the entire creative lifecycle of digital advertising — improving advertising effectiveness while reducing operational costs. Media consumption has radically changed, and consumers’ expectations are higher than ever. In order to connect with consumers, brands need to create experiences that feel meaningful and relevant. About AdHawk : AdHawk is undoubtedly one of the simplest and most convenient methods of managing the method of digital advertising across a number of platforms. This particular platform plays the crucial role of aggregating all the data and putting it into a single dashboard. You will also get numerous optimization tips, which will help you to gain additional knowledge. “On-boarding is really easy & it is very clear that the team is very knowledgeable. Honestly the best part about AdHawk was being able to sit back & watch our ROI increase month over month. It turned the painful process of optimizing AdWords into a delightful process.” – Jillian C.
About Screendragon : Screendragon is one of the leading project management software, which is cloud-based and is responsible for managing the workflow of various agencies. This software has been specifically developed for the marketing teams. It can be used by both the technical as well as non-technical users. The software allows the agencies to manage campaigns, manage documents, share files, track time, and manage tasks. It is extremely easy to adopt. About Outbrain Amplify : Outbrain is the worlds leading native advertising platform, guiding the digital discoveries of consumers around the globe. 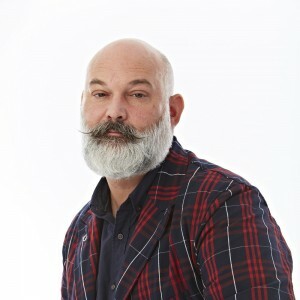 Genuinely connecting marketers, publishers, and the consumers in-between, Outbrain serves more than 275 billion recommendations, organically personalizing, and enhancing, the reader experience. Top publishers — including CNN, Fox News, and ESPN — utilize Outbrain’s technology to redefine their digital landscapes. Top marketers utilize Outbrain’s platform to interact with untapped audiences. Headquartered in NYC, with a global presence across 16 offices, Outbrain was founded to make advertising better. “Easy to utilize user interface that enables actual time updates and reporting. Complete exposure into outcomes that enables my group to make modifications that will right away affect the project performance.The platform is really user-friendly.” – Hannah G.
About Hygger : Hygger is a simple, flexible, cost-effective solution to take your team collaboration to the next level. From managing tasks to reporting, time and progress tracking, Hygger has everything a team may need to move the project forward. Based on Agile, Lean and Kanban, Hygger stands for visibility, empowerment, effective communication and increased product value. As a team, we embrace the ‘hygge’ philosophy of mindfulness, togetherness, simpleness and comfort. And Hygger is a reflection of these values – simple to start, comfortable to use yet powerful to run multiple projects and teams without overload. About CurrentTrack : CurrentTrack is one of the best web-based advertising agency software, which is responsible for capturing reports and documents. It is a robust, intuitive, and adaptive software. It has been helping the agencies to replace the difficult method of tracking time, logistics, messaging, as well as various other complicated tasks with a simple and convenient management system. You will also be able to manage your documents, share important files, manage tasks, projects, and most importantly, track time. It is extremely flexible and you can be assured that everything will be in a single place. “It’s intuitive and unlike most software, there’s nothing to figure out. It’s also flexible. We use it for clients and as a contact information system, allowing us to have everything in one place. 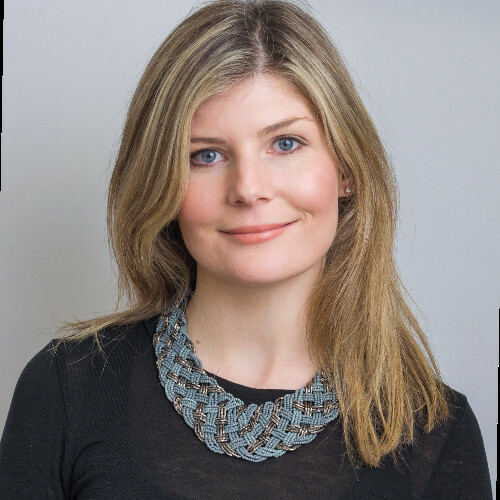 There are continuous capability updates and improvements and the customer support is like no other.” – Ellen S.
About AdScale : It is becoming increasingly difficult to manage numerous campaigns at one time. AdScale is an artificial intelligence powered platform, which is cloud-based. It makes use of machine learning for optimizing and automating AdWords campaigns. The software has been designed specifically for the PPC managers, private advertisers, advertising agencies, and the marketing teams. The software is not only professional but helps in completing the work fast. “Extremely professional, quick & feels like I found real partners. Tailor-made features, amazing reporting&alerting system, smart bidding, long-term approach to data, multi-conversion abilities, availability time is 100%. Scaling up marketing voice in a cost-effective way” – Guy Y. About FunnelDash : Facebook Ad dashboard & messenger funnel automation tool suite for digital marketers looking to generate high value leads & clients on demand. With their proven Messenger Sequence templates you’ll be able to capture and nurture your leads from your website and messenger ads quickly & easily. Streamline your client reporting with it’s live Facebook Ad Analysis Audit Dashboards. Organize all your clients weekly meeting notes, action items, KPI’s and account trends in one easy view dashboard. About CAKE : CAKE provides proprietary cloud-based solutions to collect, attribute and optimize the performance of digital marketing return on investment, in real-time. In today’s complex $137.5 billion global digital advertising industry, marketers are confronted with a daunting challenge – navigating through the vast volume of information generated from campaigns and determining where to allocate online advertising dollars for the biggest impact. CAKE solves these issues. About Spherexx.com : Spherexx.com is a full-service ad agency and software development firm offering a wide selection of professional services including web design, lead generation & tracking, marketing, touchscreen kiosks, website hosting services, database solutions, search engine, property management software integration, web based application development and revenue management. “Excellent service! Easy to use, no glitches! Would highly recommend to any future users. Their staff is always looking out for our best interest.” – Steve B. About Influencer Marketing Platform : Upfluence Software is an all-in-one SaaS that allows brands to identify and contact their influencers at scale. Additional features such as campaign management, reporting tools and a payment processing platform simplify influencer interactions so brands can focus on their marketing goals. Upfluence Software is currently used by 100+ clients worldwide. Since 2013, Upfluence has successfully positioned itself in key industries (Luxury, High-Tech, PCG…) and plays a central role in ensuring the success of its customers including Microsoft, EDF, Paypal or Victorinox. “Increase the recognition of your brand in social networks. More sales thanks to the traffic obtained from influential users and easy integration with our email marketing campaigns.” – Ethan S.
About Mediatool : Mediatool is a professional media planning collaboration software for advertisers and agencies. Use it to get a great overview of all your marketing activities, campaign plans and yearly summaries in one place. With Mediatool you can plan, organize and analyze all your marketing and media activities in one place. Mediatool.com is like your own virtual marketing assistant, gathering all your files and conversations related to media buying together and allowing you to have a bird’s eye view of all your media buying activities. About DashClicks : Dash Clicks is a SaaS platform built specifically for digital marketing agencies. Dash Clicks was created with one thing in mind, scaling. We know how complicated all these state-of-the-art software’s can be for agencies. We wanted Dash Clicks not only to be easy to use but have the ability to combine all the most popular software’s into one amazing platform. Quality white-label digital marketing services within an entirely white-label platform are where Dash Clicks can become the industry leader. About Adomik : Our objective is to resolve the growing complexity of managing digital advertising for all departments in publisher organizations, allowing them to improve their business performance and grow their revenue seamlessly. Our platform automatically collects advertising data from all monetization partners, normalizes and enriches it with data science to provide holistic reporting, price management, lead generation and dynamic troubleshooting. Located in Paris, London, New York and Tokyo, we work with top publishers in more than 20 markets. About Cybba Ads Retargeting : Cybba Inc. brings conversion efficiency through personalized digital marketing and advertising to companies worldwide. Using advanced data analytics, we provide leading digital marketing and display advertising solutions for brands of all sizes. Our strategies include in-depth customer segmentation, digital display ads, onsite optimization, and email remarketing technologies. With these strategies and our full-service account management, we help brands drive qualified traffic to their sites, increase customer conversion rates, and reduce cart abandonment. About Spatially : Spatially is a location intelligence platform that brings the power of web analytics into the physical world. Aggregating and analyzing millions of data points, Spatially presents a comprehensive view of an area’s location dynamics, providing business owners a better understanding of their customers’ spatial behavior and the missing context of when, where, and how to communicate with them. The company is headquartered in Boston with offices in Seattle and Miami. » Marketing Automation Software - Marketing is the prime factor for any business development and marketing automation software offers the best solution to fulfil your marketing requirement. If you need effective marketing strategies for your business, it really needs so much attention. » Social Media Marketing Software - Today’s society is connected more towards the internet with the help of amazing social media marketing software. To make your business successful, you have to make a presentation of it on the social website.